We're week 3 into our Audio Book Lovin' Series and I found some more awesome "Gift Idea For The Book Lover" with audiobooks in mind! Scroll down below and check out this week's items and let me know which is your favorite? iPad Mini case or 7" tablet case cover. Can be customized to fit other tablets. Protect your new tablet from dust and scrapes. Our sleeves are designed to keep you productive, portable and cute. 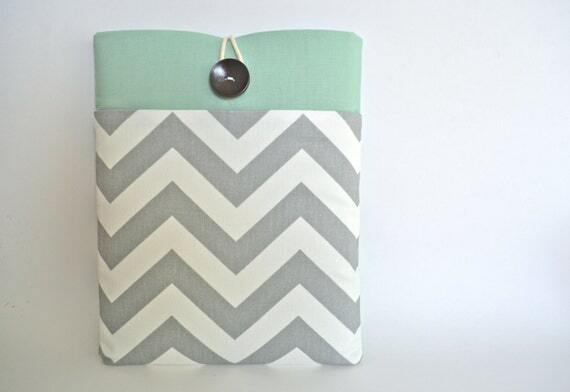 A seafoam green cotton fabric cover with gray chevron fabric pocket. Lining is beige cotton fabric. Backside is solid green (no pocket). String and button closure on top. Padded with 6mm foam to keep your iPad mini comfy and safe. Tired of you headphones taking up valuable desk space? 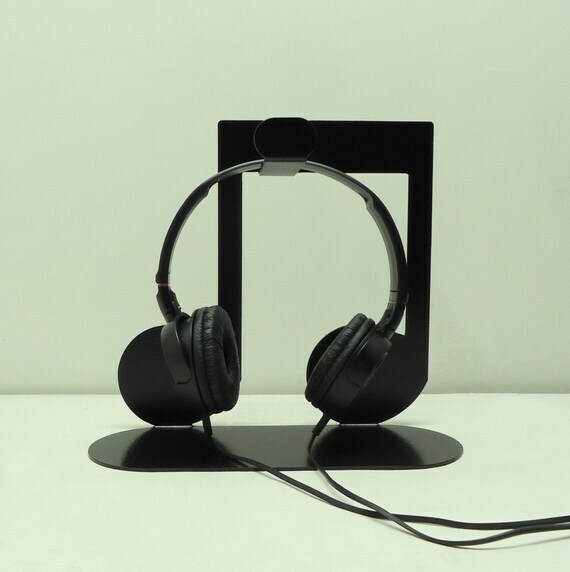 This music themed headphone stand may be the answer. This stand is handmade and designed by us at Knob Creek Metal Arts and will accommodate most brands and styles of headphones. Stand is made from solid steel and finished in hammered black. Dimensions are approx 9" tall x 10" wide x 4" deep. This is a listing for some CUSTOM and MADE TO ORDER headphones. 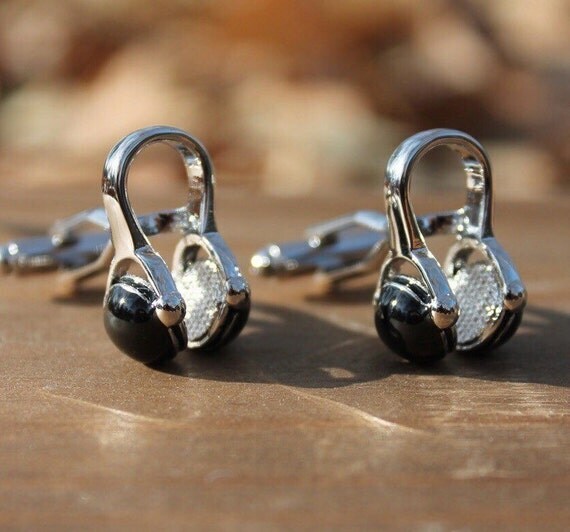 We have a beautiful set of DJ headphones cufflinks. 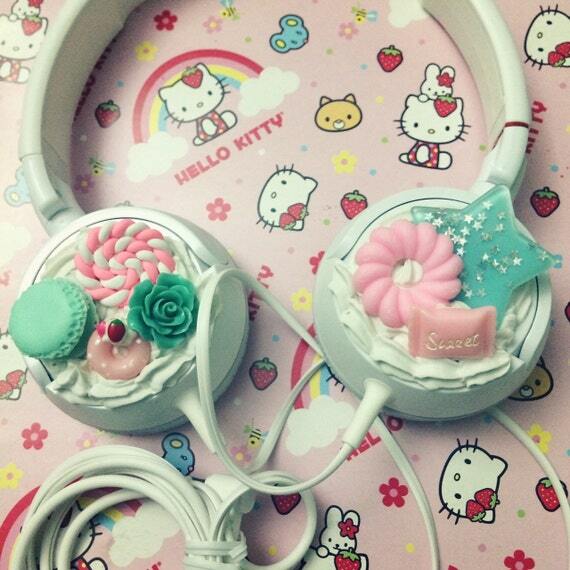 These are a fantastic accessory for the music lover who just can’t get away from their headphones. They’re sure to get compliments anywhere they’re worn. All our cufflinks are shipped in a handsome ribbon wrapped box that’s perfect for gift giving or for a safe place to store them for yourself. Orders are shipped with tracking numbers, so no missing packages! Shipping $1.49 to the US and $3.49 everywhere else. 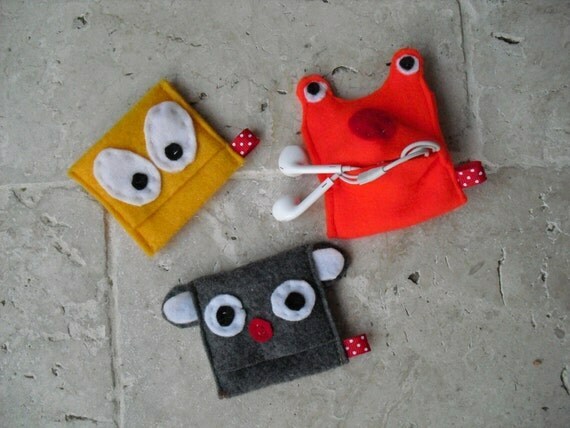 if interested I have also tampon monster pouches or pad pouches, please see in my shop under bags.